ICFO encourages society to be part of the scientific community through scientific experiments that require the participation of citizens, raising awareness in an engaging way and allowing everybody to meaningfully contribute to scientific research. 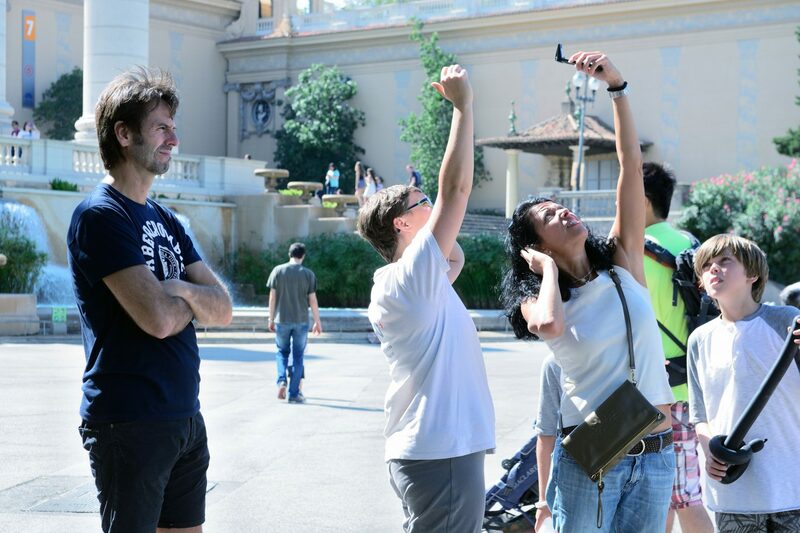 Such activities include BCN Breathes, an initiative that took place in September 2015 that sought to promote the understanding of the properties and behaviour of aerosols in the atmosphere as well as their effects on the environment, involving Barcelona’s citizens in a scientific experiment using their smartphones and light. This initiative was part of the European H2020 project LIGHT2015. Almost 500 measurements were taken in Barcelona, engaging hundreds of citizens. ICFO also created and organized The Big Bell Test, which enabled citizen participation in a series of cutting-edge quantum physics experiments that took place on 30 November 2016. These experiments tested the laws of quantum physics, requiring the help of the largest possible number of people. As a result, more than 100,000 people participated in the BIG Bell Test, completing more than half a million levels of the video game created to facilitate participation, generating more than 90 million bits, a number that tripled the initial expectations of the scientific team leading the project. Go to the project’s website for results and further information. You can also access the materials we created to introduce the BBT in the classroom: organize a competition to see who is the most impredictable person in school, talk about randomness, statistics, history and philosophy of science… and of course quantum physics! ICFO organizes workshops and talks for teachers and schools to help integrate this type of activity into the classroom. For more information on future events like these, stay tuned through our page on Upcoming Events.